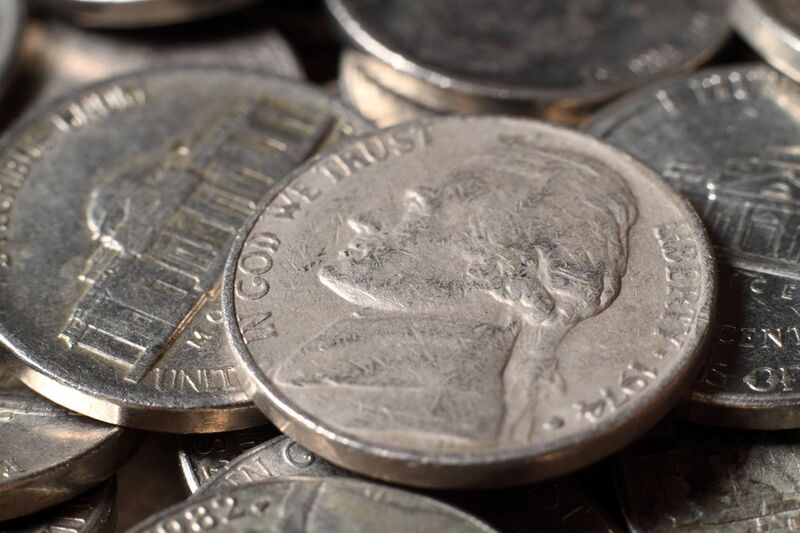 (1) A nickel is the U.S. coin worth 5 cents, or 5/100 of a dollar. (2) Nickel is a silvery white metal which is used in some coin alloys, including that of the U.S. 5-cent piece, from which it derives its name. The U.S. 5-cent coin started being referred to as a nickel years ago, because that was the metal from which it was made.